As we mentioned at the end of last week, the Moto G6 family must be days away from an unveiling. In fact, it’s looking more and more like April 3 (tomorrow) might be the day, as has been suggested on promotional imagery since we first outed them back in January. 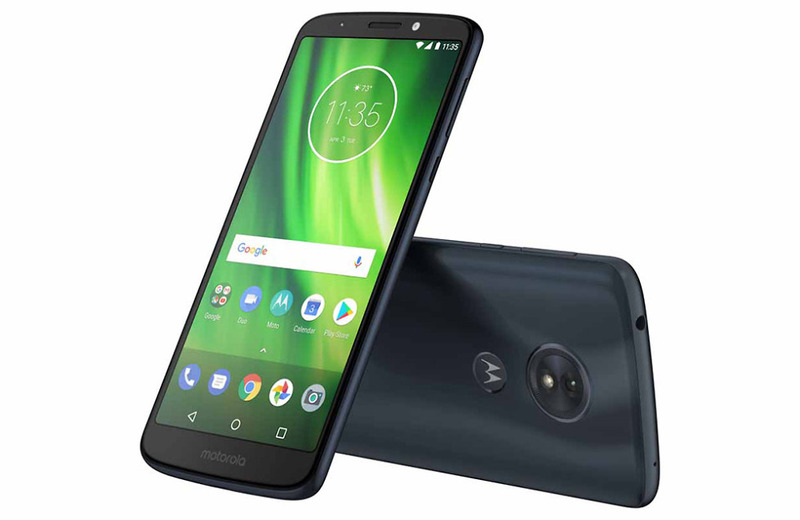 After retail listings showed up for each phone from an overseas retailer, Fry’s outed both the Moto G6 and Moto G6 Play over the weekend. We didn’t necessarily learn anything new in terms of specs. The info Fry’s provided matches up to that story we broke in January, so we’re good there. 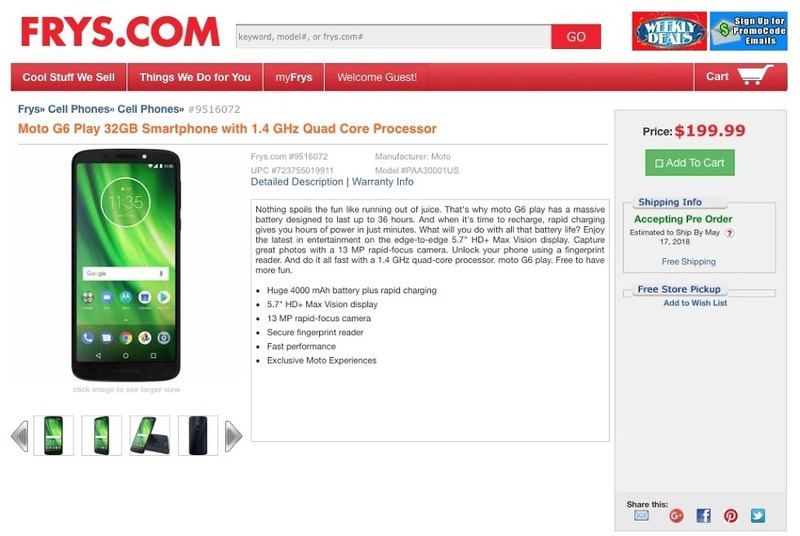 What the Fry’s listing did tell us is price and possible launch date. 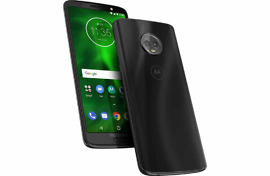 The Moto G6 with 32GB of storage is listed at $249.99 with a “ship by” date of May 10. 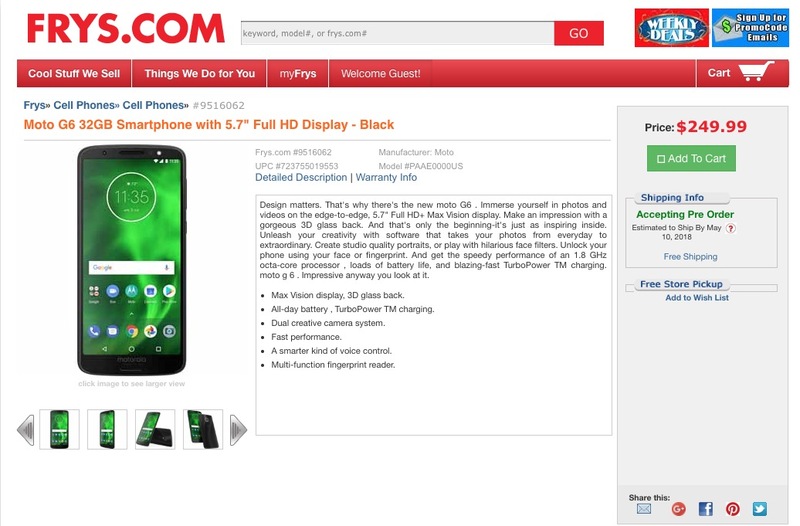 The Moto G6 Play is listed at $199.99 with a “ship by” date of May 17. 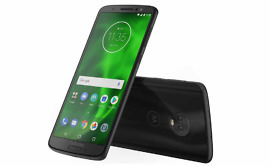 The Moto G6 Plus wasn’t listed. However, I’d expect the price to come in close to $300.